The war on Northern Syria/Rojava is exacerbating the ecological crisis in the Middle East. 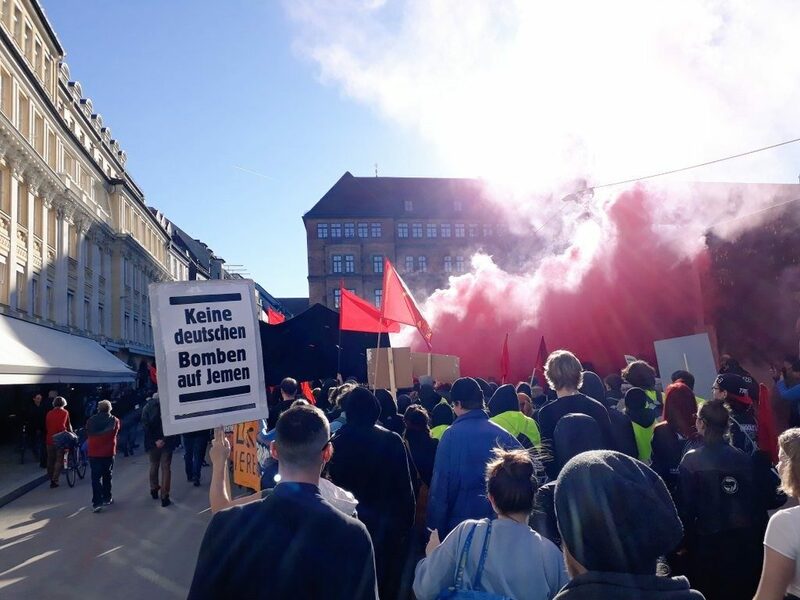 But at the same time it offers the chance to reveal the connections between imperialism and the destruction of nature and to unite struggles for ecology, radical democracy and peace; an opportunity to learn from each other and to reach out internationally to a new and broader mobilization against the Erdogan regime and the threat of war in Rojava. 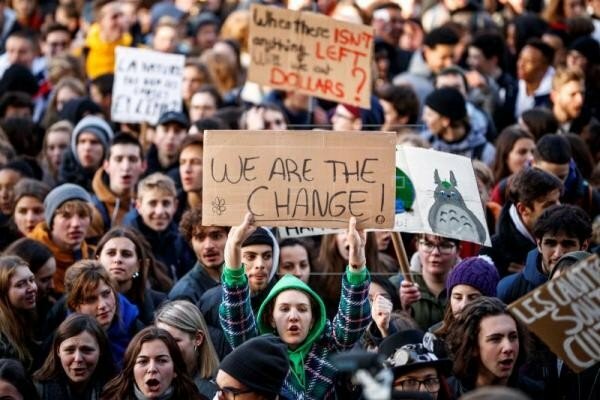 Since the schoolgirl Greta Thunberg in Sweden together with first hundreds, and then thousands of schoolmates, began a school strike every Friday to protest against the destruction of nature and man-made climate change, a wave of protest has been going through half the world. It is the broadest ecological protest movement for many years. It is marked by acts of disobedience, the refusal to continue to watch inactively. The protests are a response to the global climate crisis and clearly reflect the increasing awareness of a new generation. In the beginning, the protests were small, but they are still growing, Friday by Friday. Nature is sacrificed for economic growth, for capitalism and for the profit of some rich people, Greta says before the UN climate conference. The video of her speech has made her famous. She is right. There is a worldwide war raging over resources, with losers and winners, a war that is both a war between great powers and a war against nature. It’s about controlling water, mining oil sands and rare earth, producing uranium, emitting greenhouse gases, and about who should pay for the fight against climate change. There are pieces of the puzzle that are often seen separately, but connect people all over the world. Just to give a few examples, from the people who live from fishing on the Mekong, one of the longest rivers in Asia, whose homeland is threatened by dams of the Chinese state, to the indigenous population of Chile, whose homeland is eaten away bit by bit by excavators and chainsaws. But even if the ecological crisis is global, not all people are affected equally. While the decisions about our world are mainly made by old men in the offices of companies and governments, the children and young people of today will later have to live with the consequences. The ecological question also runs between above and below. Between the global North and South. And between the classes of the big landowners, the rich and capitalists on the one hand and the workers, employees and farmers on the other. Nothing makes this as clear as climate change: the interests of the management committees of the coal companies are incompatible with the interests of large parts of humanity. The profit of one means the ruin of the other. The ecological crisis cannot be solved without asking the question of the system. It is also a question of democracy, communalism or centralism, as can be seen, for instance, in energy production. Power plants that generate energy from nuclear fission, huge dams and power lines are always also an expression of centralist ruling systems. Energy policy that is discussed all around the world shows that the ecological crisis can only be resolved by decentralization. At best, it aims at self-sufficiency and autonomy. A municipal supply and disposal system. Also, and perhaps especially in the Middle East, the connections between ecological and social oppression are obvious. The exploitation of oil by transnational corporations and imperialist states, huge dams leading to the desertification of entire regions and the contamination by chemical weapons of war are just a few examples. Even in some parts of the Middle East, in response to this destruction of nature, an ecological movement has grown up in recent years, still a small movement, but capable of raising the relevant questions. Ecology is also one of the ideological pillars of the radical democratic revolution in Rojava. This revolution was from the beginning on also an ecological one with the aim of decentralized, ecological and diverse agriculture, sustainable energy supply and a mode of production, which does not exploit and destroy nature, but is in harmony with it. This is to be achieved through the extensive self-sufficiency of the municipalities and a system of cooperatives, which are controlled by the workers. At present, large parts of agriculture are already collectively organized, and in the other economic sectors, too, the share of the cooperative economy is increasing compared to the capitalist mode of production. Thus Rojava has become not only a hope for the freedom of women in the region and a peaceful and democratic coexistence of different peoples, religions and cultures, but also for an economic system beyond profit orientation and competition. The difficult economic situation, the embargoes and the constant military confrontation have meant that ecology in Rojava often remained only as an abstract idea, but some beginnings have already been made: agriculture has been increasingly converted from monocultures to a diversified crop rotation over the past few years in order to conserve the soil and prevent the extinction of species. A waste disposal system was set up, some areas were placed under nature conservation and an ecological awareness was developed in society through education and practical measures. There are also reforestation programmes under which tens of thousands of trees have already been planted. Reforestation is also supported by our Make Rojava Green Again campaign. 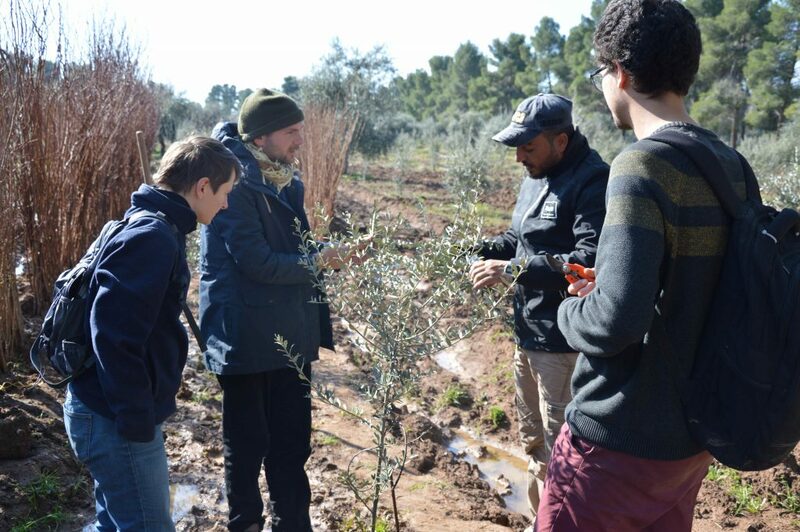 So the idea of an ecological society in Rojava is connected with practical projects that in the future will not only help people to live in the region despite climate change and ecological challenges, but will also show how a society can live in harmony with nature. Above all for the problem of water supply, there is an urgent need to find answers in Northern Syria and throughout the Middle East. The farmers in the region have always been dependent on the water of the rivers Euphrates and Tigris, which flow from the north, from Turkish state territory towards Rojava. The Turkish state is using this, the state knows: Who controls the water, also controls the life. The Turkish state builds huge dam projects like the one in Hasankeyf in the part of Kurdistan it occupies, and so the water level of the most important rivers downstream continues to fall. Whole regions are becoming deserted, not only in Rojava, but also in Iraq. Reforestation can prevent the soil from drying out. And by diversifying agriculture, water consumption has already been reduced. But one thing is certain: with Turkey’s policy of artificial water scarcity, the problems for nature and agriculture will become even more critical. The fragile seed of the ecological awakening in Rojava is threatened by the war of Erdogan. The occupation of Afrin and the decades-long war in Northern Kurdistan show that the wars of the Turkish regime are deliberately directed against the ecological livelihood of the people, as forests are systematically set on fire and agricultural land is destroyed. What applies to Kurdistan, applies to the entire Middle East: wars are counted in deaths, wounded and economic damage, the destroyed nature is hardly talked about. One example is the 2003 invasion of Iraq: during the occupation of Iraq by the US military, hundreds of oil fields were lit. Land bombardments hit industrial plants such as refineries, pipelines, chemical and fertilizer factories, dams and power stations. Tons of fired uranium ammunition still pollutes water, soil and food, and the cancer rate is rising. And not only people suffered from air and water pollution, but also hundreds of thousands of sheep and tens of thousands of camels died as a result. In Syria, a similar picture emerges: during the war, oil fields were repeatedly set alight and various belligerents used chemical warfare such as sarin or incendiary weapons such as white phosphorus. There were endless examples of the connection between imperialism, war and the destruction of nature. In the book “Make Rojava Green Again”, which has already been published in English, Italian, and German, we go into more detail. Now Erdogan’s AKP-MHP regime plans the further occupation of Northern Syria. This would not only destroy the started ecological projects – it would threaten the destruction of an alternative social concept and the destruction of the hope for a peaceful, solidarity-based and ecological coexistence in the Middle East. This is the reason why more and more ecology activists are joining the protests against Erdogan and his Western supporters in business and politics. 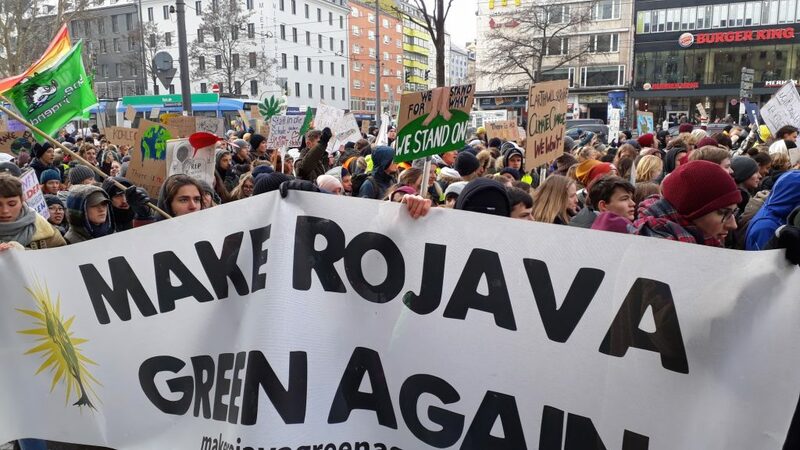 Most recently, about a month ago, numerous ecology groups from Europe, Canada, the USA and other countries responded to the ecological appeal of the Make Rojava Green Again campaign and the Mesopotamian Ecology Movement to the Global Days of Action on 27 and 28 January and supported the protests. The Action Days are a step in the right direction: we must turn the resistance against the military threat of democratic upheaval in Kurdistan and Northeast Syria into an offensive and a strengthening of cooperation between ecological, feminist, anti-capitalist and other progressive forces. To this end, we must carry our commitment to the war and our resistance to the support of Erdogan by corporations and governments into the ecological struggles of these days. 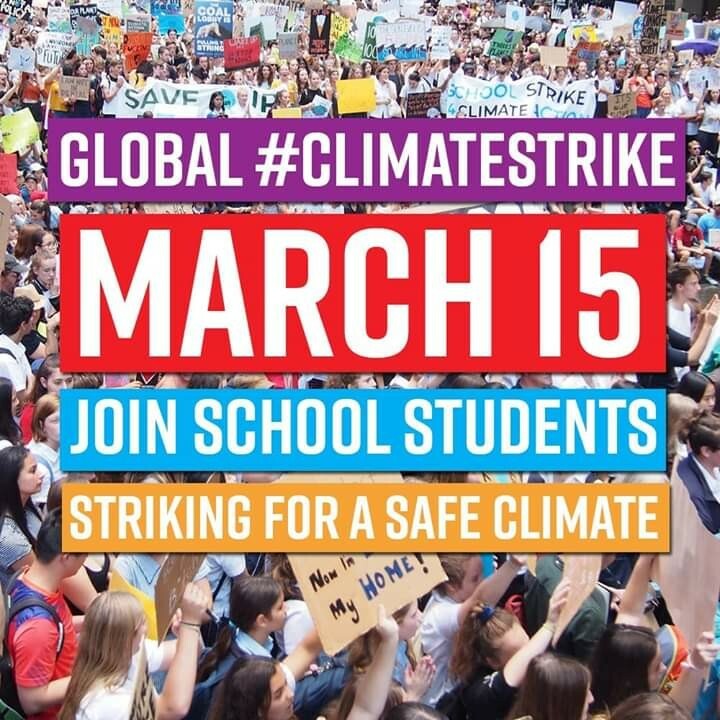 The next good opportunity for this is the global climate strike on 15 March.